Texas is no stranger to wild weather. Thunderstorms are a fact of life in this area, and they can be severe any time of year causing storm damage to both property and homes. SERVPRO was called to mitigate flood damage in a Dallas home when the winds from a storm caused a branch to break a living room window, and rain poured in overnight while a family was away. They came home to a wet floor, damp furnishings and strong odor. Our technician immediately sealed off the broken window to stop any further exposure to rain until the owner arranged for repair of the window. There was little in the way of standing water because carpet and padding soak up incoming rain quickly. Carpet is not always a loss when an event like this happens. The more moisture extracted, the quicker carpets and contents dry. Using weighted extractors that push the water out of padding, we were able to pull up much of the rainwater out of the carpet and upholstered chair by the window. The draperies were removed for drying in our facility. Thermal imaging confirmed the walls were unaffected by the rain, and SERVPRO technicians set up air movers to start drying the rooms. Air movers are not just large fans. They are specialized pieces of equipment that blow fast-moving air across surfaces to cause water vapor to rise — effectively pulling out moisture that is then captured by one of our dehumidifying pieces of equipment. Using air movers placed in the proper configuration to direct moist air up and out, is an effective way to dry contents quickly and avoid water loss of home and contents. Once dry, our technicians cleaned and deodorized the room, and the odor was eliminated. During the final walkthrough, our technician showed the homeowner everything that was done to ensure he was happy with the results of our restoration efforts. When our trucks arrive you can rest easy knowing we have the necessary equipment, expertise and training to handle any water damage to your business. In a hotel where you offer accommodation services, the risk of water damage is high because any of the guests that frequent the place can leave the water running in their rooms. Also, the plumbing lines that crisscross the facility can leak or burst any time releasing water all over the property. Having a sound recovery strategy can minimize the downtime your business suffers when such an incident happens. We offer professional restoration services to hotel businesses in Dallas. Performing rapid commercial water removal in Dallas is essential since it forestalls most of the damages likely to occur. Such speedy extraction is only possible with the use of advanced equipment and skills. Our SERVPRO technicians undergo training and IICRC certification in different areas including ASD, Applied Structural Drying and WRT, Water Damage Restoration, equipping them with advanced skills. We can drill weep holes or make flood cuts to release water from the structure. Depending on the point of origin, the water spill can cause various complications. A spill originating in upper floors can cause the water to flow into wall cavities or the rooms beneath complicating the extraction process because such water can remain hidden. Our SERVPRO technicians anticipate such problems, which is why we use advanced equipment such as thermal cameras to check for wetness in concealed areas. We also use sophisticated equipment such as injecti-dry systems to remove such water with minimal demolition. In a hotel, beddings and other linens can absorb water retaining high amounts of moisture even after extracting the standing pools. Such moisture presents many problems because guests cannot use the rooms in such a state. Mold and bad odor also develop easily under moist conditions. Our SERVPRO crews take different steps to dry wet areas after water spills. We can use sophisticated equipment such as high-speed air movers and desiccant dehumidifiers remove moisture. We can also create drying chambers using plastic sheets to accelerate the drying rate. In case of a water spill in your Cedar Hill, Lancaster or Hutchins area hotel, call SERVPRO of Southeast Dallas County to assist in water extraction. You can reach us at (972) 227-0800 any time. We’re Faster To Any Size Disaster. Click here for more information about the theater that is astonishing kids and families with the fun of broadway-like plays and a lot more. How Does Water Damage Remediation Work in Southeast Dallas? Water damage in Southeast Dallas can occur in many ways. No matter if the water is in the home through a pipe breaking or appliance leaking or someone left a faucet on, and it overflowed in the kitchen or bathroom. Fast action is the key to limiting the amount of damage done to the structure and possessions affected by water. SERVPRO says We're Faster To Any Size Disaster. What Types of Problems Can Water Damage Cause? When any part of a property has been exposed to excess amounts of water, there is the potential for degradation of the building materials and mold. When you contact SERVPRO of Southeast Dallas County, our technicians use different types of moisture detection to determine when moisture remains and how deeply into the structure it goes using probes. In areas of the property where probes cannot get a reliable reading, thermal imaging is a way to see the moisture that needs to dry. It is essential to determine everywhere there is excess moisture to avoid the possibility of mold and odors. In many cases, property owners have already attempted a little cleanup before our technicians arrive. Sometimes it can cause larger issues such as wet towels left on a floor can transfer water to other areas previously unaffected by water. When our technicians arrive, information was collected during the initial phone call that gave them an idea of the tools and equipment needed to extract the water quickly. We have weighted extractors that can push water out of carpeting and padding and methods to dry both in place. For large-size water removal needs, we have truck mounted pumps that can quickly dispatch thousands of gallons of water as needed. We have specialized methods to work on all types of flooring, including solid hardwood flooring to get the best outcome possible from drying. Using specialized drying mats that are rotated, hardwood flooring is not automatically a loss even if it appears to be cupping and buckling due to water absorption. On a case by case basis, it can be remediated if the water and moisture are eliminated quickly. We can also effectively salvage base cabinets exposed to some water absorption. Our SERVPRO technicians are certified in the restorative treatments and are specialists in psychometry, the study of air and moisture. Drying and eliminating excess moisture from the structure and preventing vapor barriers is a crucial component of restoration and avoiding secondary damages. When they are setting up our industrial air movers, they carefully position them to move air over the surfaces holding moisture. This causes water molecules to rise, and the dehumidifier captures and removes it, lowering the overall humidity in the air and drying the property thoroughly. Moisture goes from wet to dry, so we encourage this basic physics fact. Our technicians have a diverse selection of drying equipment including high-velocity axial fans, heated and unheated air movers, dehumidifiers, desiccant, and LGR types, and heaters. This equipment is used in unique configurations as each cleanup and restoration is unique on its own. Even setting drying goals is unique to the location. Our technicians use Thermohygrometers to establish them. This device measures humidity, vapor pressure, and dew point. When we are drying a property, the average humidity in unaffected areas is used to determine the baseline drying goal for water damaged areas of the property. Whenever possible, we dry as many of the furnishings as possible in place to disrupt the home or commercial property as little possible. Furniture is raised on blocks, and if it is unable to be restored on-site, we can pack it up and clean and dry them at our facility. A carpet saturated by clean, potable water from a plumbing failure, is not automatically a loss and must be tossed. Our SERVPRO technicians can suction the water out of the padding using extractors and then set up a specialized drying method termed, "floating." This method is where we lift a side of the carpet from the tack strips and position air movers to blow under the rug and over the padding for optimal dryness. This can be a delicate treatment so as not to damage and tear the carpet. Our water damage technicians in Dallas are trained to do much of the remediation for water damage on site. We attempt to clean and restore as much as possible, but there are times more intense cleaning or restoration efforts are needed. In those cases, we offer a pack-out service for contents for in-plant restoration or drying. Our goal is to help property owners avoid expensive replacements of items, and we always try to restore whenever possible using our proprietary methods, including specially formulated cleaning products. In many cases, drying the structure and contents is enough to neutralize odors left behind by water. Our technicians wipe down dried surfaces with our professional quality cleaning agents and that frequently is enough to mask the residual odors. When that is not effective enough, and the scent is stronger, time-release gel beads are a good option for overtaking the smell left behind. For larger odor problems, SERVPRO of Southeast Dallas County has Odor Control Technicians that can neutralize odors by methods such as ultra-low volume fogging. This is an effective form of odor-control that changes odor-causing molecules through the use of a solvent-based fog. Our Green Fleet always carries air scrubbers and hydroxyl generators, along with gas-powered generators, for more forceful and direct odor control. Good indoor air quality is always a must for our customers. Water damage in the Dallas area always has the potential to bring mold to a property if it is not cleaned correctly. Our approach to the cleanup of water, elimination of moisture and drying methods address and inhibit the growth of mold at every step of the way. Our crew, IICRC certified as AMRT applied microbial remediation techs, use antifungal cleaners to remove mold growth on surfaces and walls, subflooring and baseboards. If you have water damage in your property, you should not handle it on your own. SERVPRO of Southeast Dallas County is available 24/7 with our emergency response teams to professionally clean and restore your property to make it "Like it never even happened." 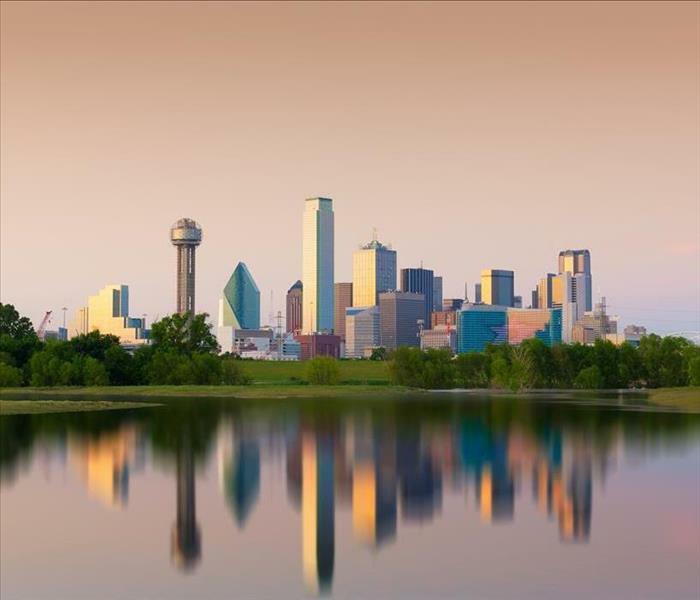 We are proud to serve the Dallas community in areas like 75134, 75141, and 75241. We have he right equipment to handle any water damage restoration job big or small. 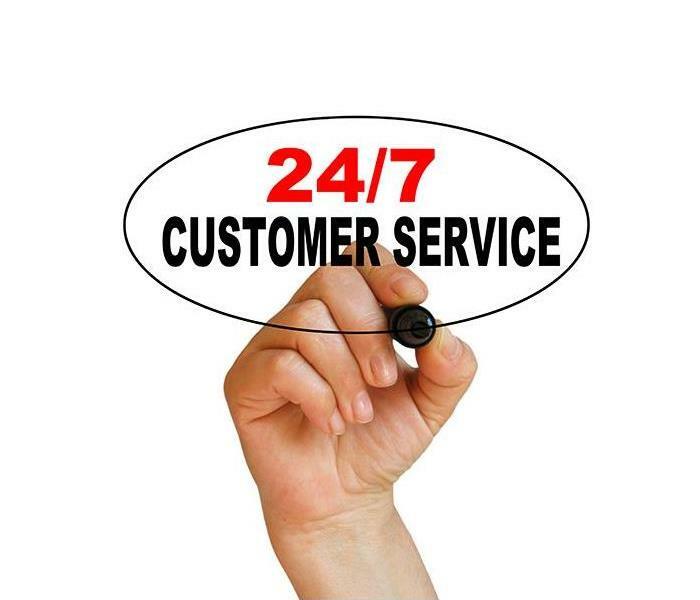 Call us right away we are available 24/7 so there is no bad time. Dallas businesses can and do suffer through the same disasters as area homes. Unlike residences, when a business closes, it directly affects the livelihood of the owner and every employee. The loss of a few days’ sales or a large amount of inventory can stop the receipts and paychecks needed to keep the lights on where they both work and live. In a Dallas leather goods store, commercial water damage can come in many forms. SERVPRO response teams quickly remove water, dry both property and the interior of the building, and treat soaked and spotted leather goods. Team members start with pumping out standing water from the faulty sprinklers or other plumbing issues. To eliminate the remaining water, they adjust smaller extraction devices for use on concrete, wood floors, and commercial carpeting. Next, they inspect the walls and sub-flooring for trapped water. If there is any present, SERVPRO technicians carefully drill into floorboards or drywall in corners or other points normally unseen by customers and employees. 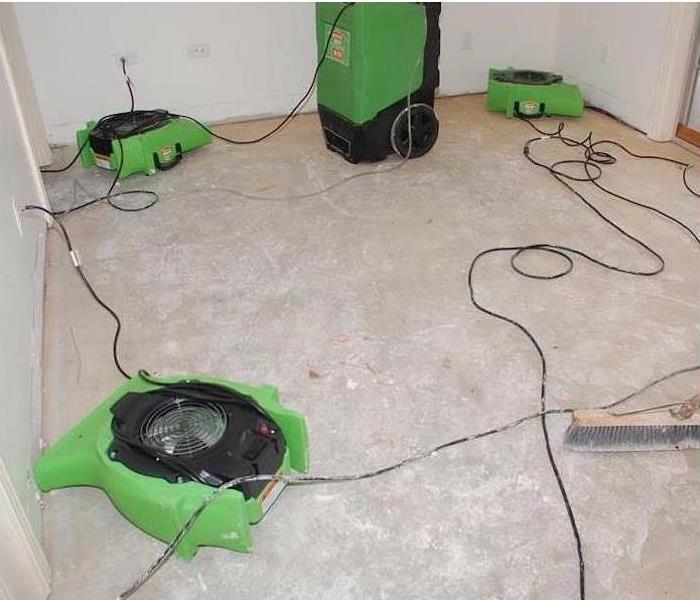 Then, they insert hoses connected to air movers and force warm, dry air into the spaces to force out moisture, dry the area, and lower the humidity to prevent both the loss of building material and mold growth. As for clearing and drying the facility happens, other team members use a combination of water, leather cleaners and drying equipment to eliminate or reduce the effects of water damage. If a coat, for example, is soaked, then technicians carefully hang it up and evenly dry it. They use air movers to generate warm air, fans to increase circulation, and dehumidifiers to remove moisture from the air, so natural evaporation increases without harming the garment. For spotted items, technicians wet the item, like a pair of boots, to reduce the appearance of the water spots and other marks. Then, they evenly blot the boots with cloths or use the same devices to dry them carefully. Where needed for soaked and spotted items, they use special leather cleaners that can remove light water marks without harming the coat, boots, or other goods. At SERVPRO of Southeast Dallas County, our goal is to keep fellow businesses, well, in business. If you have had a recent water disaster of any size, call us today at (972) 227-0800. We are here for you. Plan a trip to the Dallas zoo click here for more information. We will arrive quickly to restore your home after a flood and are available 24/7. We have the experience and equipment needed. Call us today. Can Flood-Damaged Flooring in Your Dallas Home Get Saved? You have likely invested a considerable sum in your Dallas home over the years, including renovating flooring materials and installing hardwood options. While this was an involved project, protecting this material ensures that you do not have to make that same investment over again every time disaster strikes. When flooding occurs, a homeowner should have the mindset to get the appropriate professionals there quickly to help protect exposed elements like the flooring. While there are undoubtedly many steps in overcoming the full measure of flood damage in your Dallas home, protecting and drying out damaged flooring must be a high priority for your property. Our SERVPRO professionals have a unique array of advanced equipment to quickly and effectively dry exposed materials and structural elements throughout your home. Our equipment can also bring the vibrancy and function of your hardwood back after oversaturation concerns. There are many machines and tools that our professionals use during flood mitigation to remove excess water and begin the critical drying tasks. If standing water still exists around these exposed elements, portable sump pumps and extraction wands can help to remove floodwater quickly from these damaged areas. For more dire circumstances with several inches or more of standing water, faster extraction equipment arrives with our SERVPRO Green Fleet to the residence including our gas-powered trash pumps and truck-mounted pumps. With restoring and protecting your exposed hardwood flooring after extraction has completed, we bring in several pieces of advanced drying equipment. With high-velocity air movers and LGR dehumidifiers, we can cover several thousand cubic feet of your flood damaged home with minimal units. Our injecti-dry system is the key component to drying out your damaged hardwood floors, however. We can tent the large drying mats and continually monitor moisture content to maintain the appropriate humidity level your wood flooring requires for its best function and appearance. Many tools play a substantial role in extracting and drying floodwater from your home. 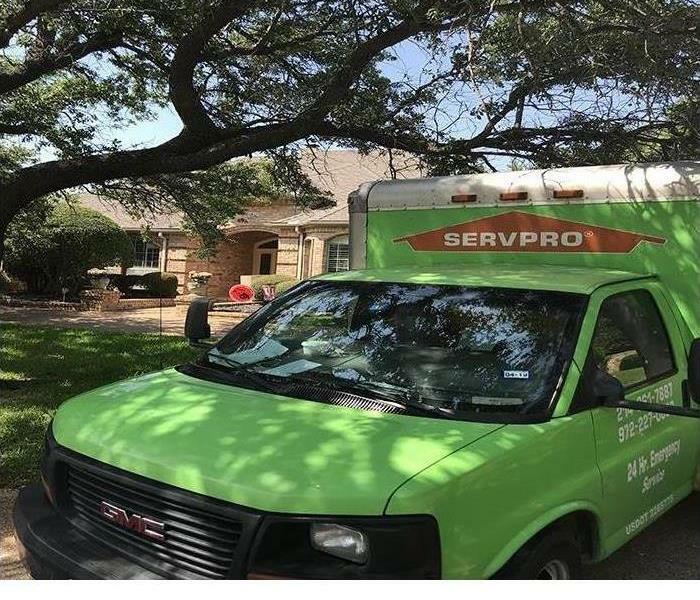 Whenever disaster strikes, our SERVPRO of Southeast Dallas County can arrive quickly with the full measure of our industry-leading equipment and experience to return your home to preloss condition. You can reach our team 24/7 at (972) 227-0800. Click here to learn more about Safari Nights to Dallas Zoo Lights, a full year of adventures, value, and discovery! When Your Crawlspace In Dallas Experiences Water Damage, Our Crew Is Here To Help! Let our SERVPRO of Southeast Dallas County help you restore these effects quickly by calling (972) 227-0800. While many Dallas homes offer the simplest of foundations in the form of a concrete slab, other properties have elevated main floors. These construction decisions leave space beneath the floor for access to utilities, shutoffs, and to protect your home in the event of situations like flooding. As beneficial as crawlspaces can be, these areas of your property can become susceptible to pooling groundwater and natural persistent dampness that can cause problems for both this portion of your home and the main floor above it. While there are many detrimental effects that pooling water or persistent dampness can have, restoring these damages involve prompt water removal services for your Dallas home from certified technicians like ours. The SERVPRO team that we send out to your property arrives with the full measure of our extraction and drying equipment, helping to protect structural elements of your home against saturation that can weaken these materials or secondary effects like hazardous mold growth. Removing the excess water from your crawlspace is the first step, and often must occur even before our team can accurately inspect the home entirely for the full scope of the damages that have occurred. We arrive with varying levels of extraction equipment, but depending on the severity of the situation, portable sump pumps and extraction wands are often sufficient for removing the water and allowing drying efforts and a full assessment to begin. The SERVPRO technicians can also offer effective services like crawlspace encapsulation once water removal has completed. This protection covers all of the crawlspace area and structural supports and flooring material above in a thick plastic sheeting. If moisture and pooling water are going to continue to affect your property, we can even install water diversion equipment like sump pumps to keep this newly protected area dry moving forward. While you might not consider the risks of allowing your crawlspace to stay moist, damp, or affected by pooling water, it could have dire effects on your home and its occupants. Let our SERVPRO of Southeast Dallas County help you restore these effects quickly by calling (972) 227-0800. Our SERVPRO team is here for you when water disasters strike. Even if you do not live in a flood zone, Dallas is prone to different types of water damage including backed up or burst pipes. If the excess water contains sewage, it can contaminate the area with dangerous bacteria. The water can also penetrate cabinets and spaces beneath them, causing damage to the wood and particle board, as well as hazardous mold growth. When water damage threatens your Dallas home, there is no time to waste. You need to contact SERVPRO at once to prevent additional damage and possibly, mold damage. We have a wide range of equipment for different types of restoration jobs, and our technicians are IICRC certified to ensure a smooth cleanup process. The water removal process begins with a thorough inspection of your property, including a water damage assessment. SERVPRO technicians determine the scope of the damage to develop a proper plan of action. Being cautious and careful is also a priority, in addition to making sure sockets, appliances, and electrical items are not a hazard. Our technicians check for the water source in your home and then stop it before commencing the drying process. However, we have to identify the category of water damage to restore your property safely to its original state. The type of water contamination affects the specific restoration process used to reverse the water damage. The main ones include clean, black, and gray water damage. After inspecting your home for the extent of the water damage, SERVPRO professionals look for safety concerns and describe them to you. We then proceed to move furniture and other contents before blocking items to prevent rust or stains on the wet carpet. The water extraction process involves removing most of the water from your property. This step is important to avoid mold and secondary water damage. During this time, we use powerful vacuum units and pumps to quickly remove numerous gallons of water from your property. If you need immediate water removal services, you can count on SERVPRO of Southeast Dallas County. 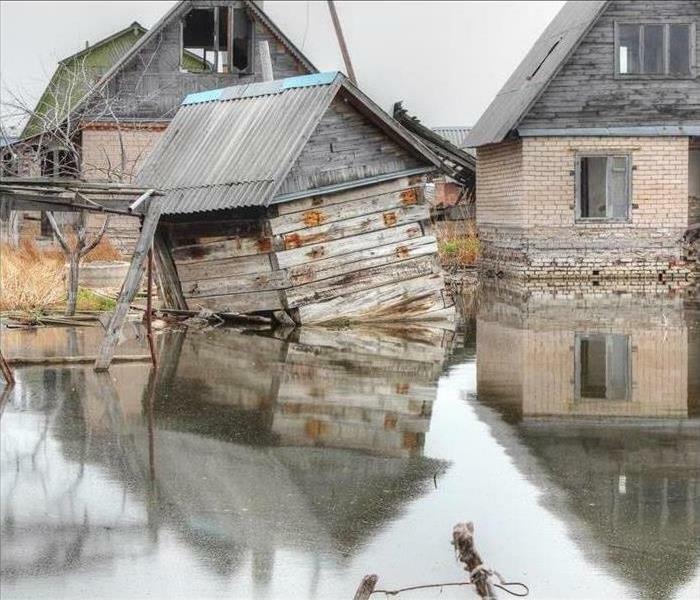 Our extensive stock of water damage resources is available 24/7, helping us restore your property to preloss conditions as quickly as possible. 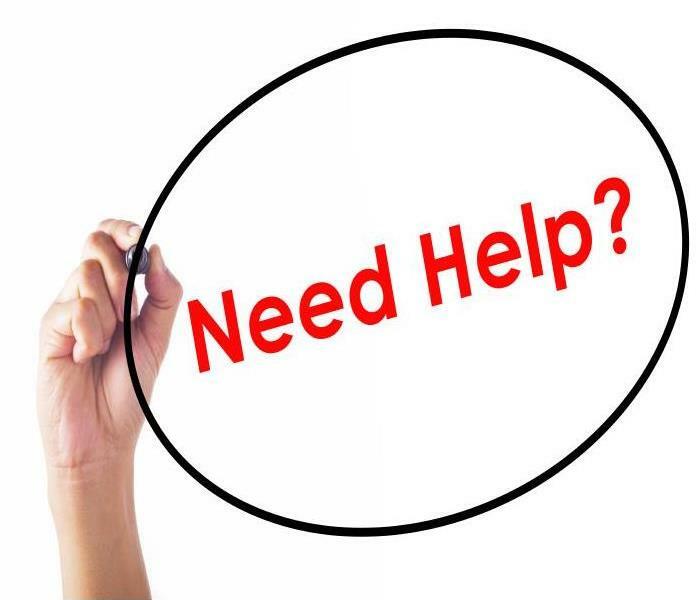 For any assistance, call us today at (972) 227-0800. Anyone who has ever witnessed the results of a fire-damaged structure can testify that fire has no master. It can cause all sorts of damage, destroying numerous materials in the combustion process. Heat and smoke residues further enhance the damage. Sometimes even firefighters can contribute to some of the loss as they try to extinguish the fire with pressurized water cannons. To save your property in a fire damage situation in Dallas, you need to contact a professional cleanup and restoration company immediately. SERVPRO has been in the fire damage restoration and cleanup industry for many years, and we have the equipment, skills, training, and technicians to protect your property and belongings. To secure your property from the fire damage, SERVPRO technicians may have to move your belongings to a safe location. This procedure can be challenging, as it involves significant labor and several tasks. These tasks include packaging, moving, unpacking, cleaning, repackaging, and moving back. This pack-out service is utilized under severe fire damaging events or to preserve specific possessions. Our specialists follow IICRC regulations and are highly efficient at fire damage restoration techniques. In some cases, it may also be necessary to vacate the primary residence during a move-out – for instance, when remodeling the property. It is much faster to remodel the house when no people are living in it. Excessive damage to the roof or flooring (basically any major part of the structure) may also necessitate moving out the family to a safer location. Safety is our top priority during any fire damage event. Our restorers have been trained to maintain high levels of accuracy in their work. This meticulousness helps to avoid breakage and keep a proper inventory of your contents. SERVPRO also understands that a move-out is not always necessary. Once our emergency team arrives on the site of the fire damage, they can use their professional judgment to make a decision. Transferring property can be costly, so we try to minimize the number of move-outs as much as possible. In most incidents, we can clean and restore the property while our customers are still in residence. Do not let your valuable items go up in flames when disaster strikes. SERVPRO of Southeast Dallas County has experienced specialists who can mitigate your property from the fire damage. Call us today at (972) 227-0800. You can find mold lurking behind furniture and cabinets or it can appear in plain sight. Regardless of how you find it, call SERVPRO immediately. While microbes exist everywhere, their overgrowth can cause problems. Homeowners in Dallas can protect their property from microbial overgrowth by taking precautionary steps. Prevention is much less expensive and consumes significantly less time than waiting and needing mold remediation services. Dallas residents can prevent mold damage from affecting their homes. Simple things, such as wiping up spills, fixing water lines that drip, and installing a dehumidifier can help keep a home dry. You can gain a considerable amount of control over any mold by keeping the level of humidity inside your home at reasonable levels. Some houses require more intensive ways to ensure its protection. While drips that land on your kitchen and bathroom floors can lead to mold damage, these fail to compare to the amount of water that comes from a broken pipe or an overflowing toilet. However, microbes do not need much water to spread and grow their vast colonies - only a tiny amount of moisture allows an enormous amount of mold to grow. Controlling the amount of humidity in your home by responding promptly to water line breaks and loose shingles covering your home might seem costly. Waiting to remediate mold after it grows but before it causes damage to your home can set many homeowners back financially. Even worse, the costs involved in repairing mold damage can include non-monetary losses, including the destruction of irreplaceable memorabilia. When substantial repairs become necessary to ensure your home remains free of mold damage, looking at the cost-effectiveness often reveals that paying for 'costly' repairs brings more benefits than expected. New portions of the roof reinforce weaker areas that harsh weather, high winds, and other elements affected more severely than other areas. Broken water pipes rarely give residents an option if they want to continue living in their home – homeowners must repair them. Drying out the home according to approved standards protects a home from mold damage. The professional technicians of SERVPRO of Southeast Dallas County can assist with any amount of mold damage in your home. Call us at (972) 227-0800, so we can help you protect your family and home from unnecessary microbial growth. We can answer your questions, provide you with pertinent information, and assess your home's unique situation, so you fully understand your options. If You Think A Mold Infestation Has Taken Over Your Dallas Home, Our Team Is Here To Help! Give our SERVPRO of Southeast Dallas County rapid response team a call today at (972) 227-0800. Is Mold Remediation Necessary For Dallas Homes? 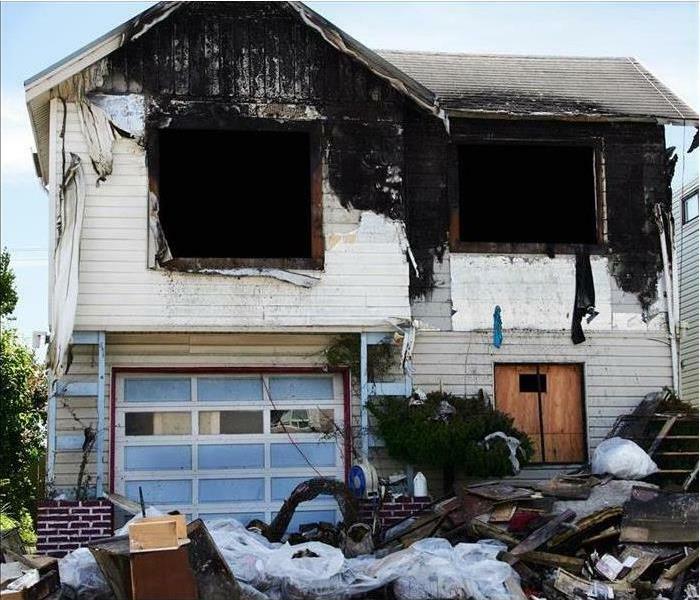 With so many natural disasters and emergencies that can threaten your Dallas property, homeowners have become more determined than ever to care for their properties on their own when possible instead of seeking the services of professional restorers or certified technicians. When mold threatens your home, this same mentality can keep many affected homeowners from appreciating the severity of this situation both for the structural integrity of the property and potential health effects that could threaten the occupants of the house as well. 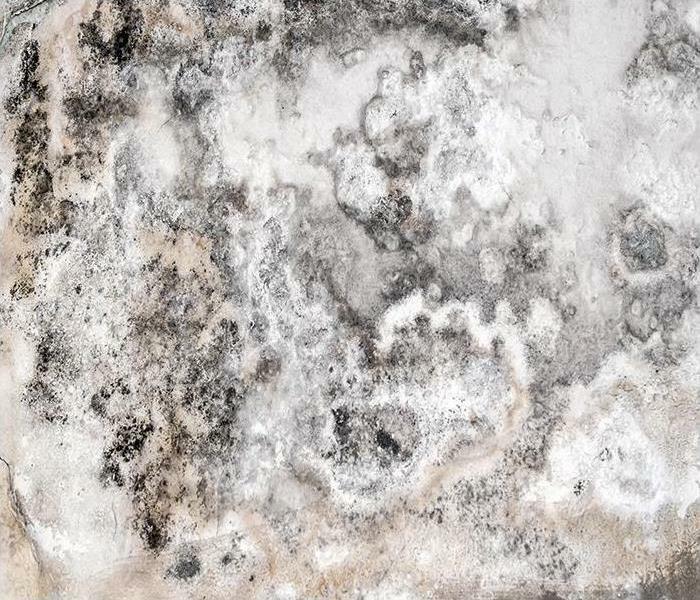 Many homeowners question if remediation is necessary to restore mold damage that has occurred on their Dallas property. As tempting as DIY methods might seem, in many cases, you can cause more potential hazardous effects attempting these. Worse still, for the risks associated with “mold removal” in your home, you likely still do not fully remove the growing organism, and the problem persists. 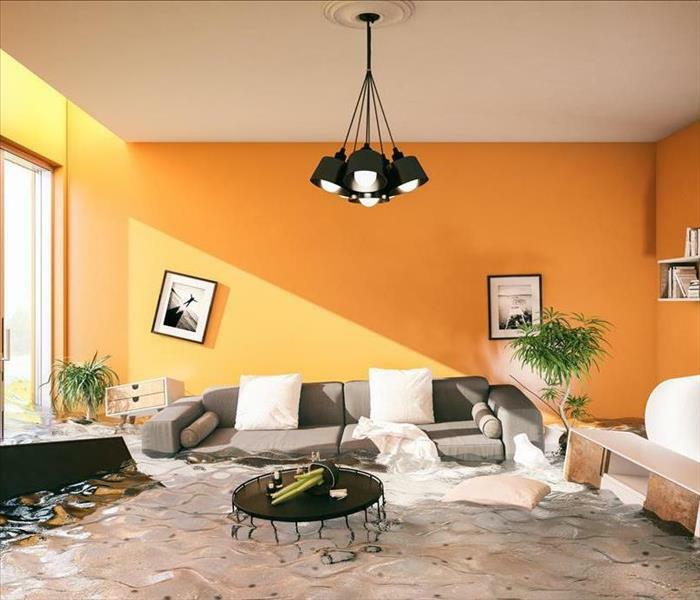 One of the reasons that you should look to secure mold remediation services from our SERVPRO professionals promptly is the effect that mold growth can have on structural elements and construction materials in your house. These organisms feed on organic material, so as the colonies grow and thrive, the hosting material for the organism weakens and degrades. Preventing widespread reconstruction requires a fast response to the situation to get our technicians working to resolve the problem quickly. Another reason that you should consider professional mold remediation is the ability to ensure that the full measure of growth and spread of the active colonies have gotten removed from your home. While no professional outfit can guarantee the removal of mold entirely from the environment, as spores naturally exist in the air we breathe, we can work to remove active colonization entirely. 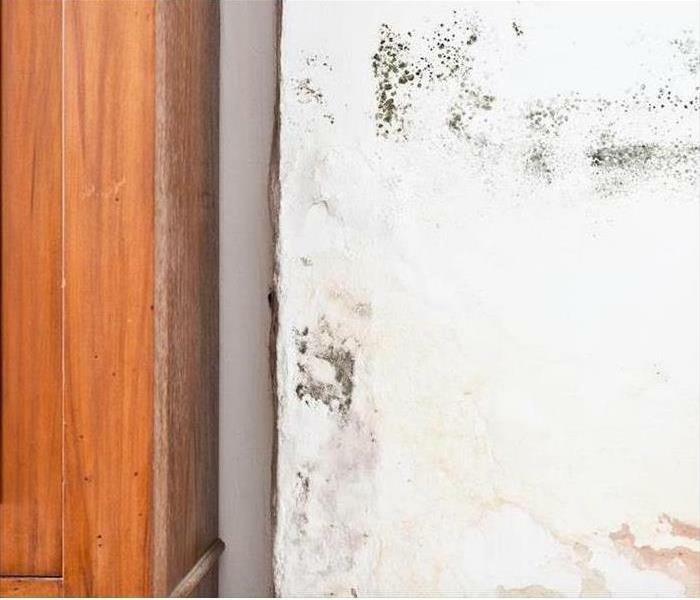 While you might be among the homeowners questioning if mold remediation is worth the cost, waiting too long to remove active colonization can cause widespread damages throughout the property that can be even costlier to tear out and reconstruct. Give our SERVPRO of Southeast Dallas County rapid response team a call today at (972) 227-0800. 3/14/2019 - When Your Crawlspace In Dallas Experiences Water Damage, Our Crew Is Here To Help! 2/26/2019 - If You Think A Mold Infestation Has Taken Over Your Dallas Home, Our Team Is Here To Help!